It’s interesting that the focal lengths of our lenses are all based on the 24×36 ‘film’ format, but since the Leica 1 in 1925, manufacturers have developed various interesting formats, none of which actually correspond to these numbers. This is not important – what is important is the fact that these numbers exists – they give us a reference regarding the field of view that we will achieve with any given lens on any given camera body. As can be seen above, the popular APS-C (Advanced Photo System type C – « Classic ») is half the size of the ‘standard’ 24×36 full frame sensor. This creates a ‘crop factor’ or multiplier which has to be applied so that we can determine the field of view for lenses mounted on cameras with smaller sensors. For example a 50mm lens mounted on an APS-C camera will give a similar field of view as a 75mm lens on a full frame sensor. In this example (Nikon) the crop factor is 1,5 which gives us 50 x 1,5 = 75. We also consider that a larger sensor will give shallower depth of field. This is and isn’t true. It is true in the situation where two photographs taken from exactly the same point, one with a full frame sensor, and one with a cropped sensor – the depth of field on the image from the full frame sensor will be less – but the field of view of the cropped sensor will also be reduced. If the APS-C camera is moved away from the object in the image so as to have exactly the same field of view, the depth of field would be identical. This is less of an advantage going the other way – a 20mm wide angle lens (full frame) on an APS-C camera gives the same field of view as a 35mm lens. However, doing the reverse can give interesting results – mounting a 10mm APS-C lens onto a full frame body will effectively give a field of view equivalent to a 7mm ultra-wide angle (full frame) – the only disadvantage is that there will normally be serious cropping of the image as the lens coverage (designed for a smaller sensor) will not cover the larger full frame one. 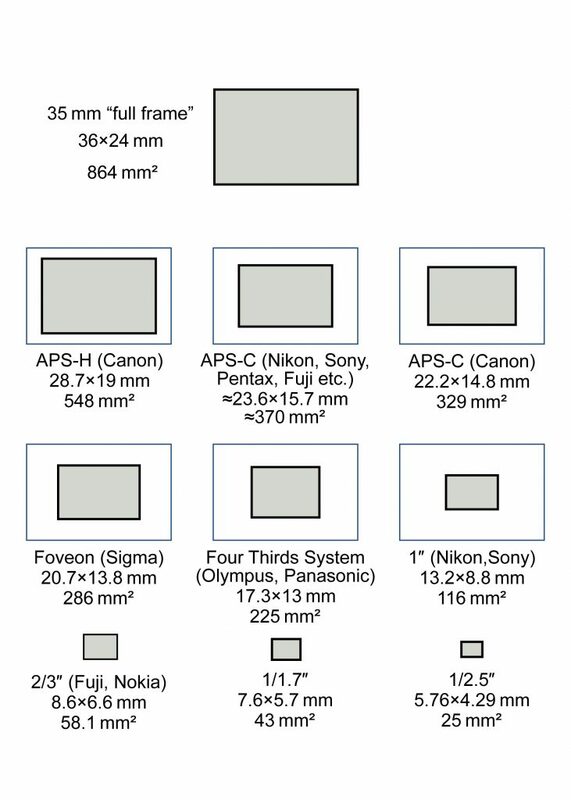 Another aspect of different sensor sizes is the pixel density. 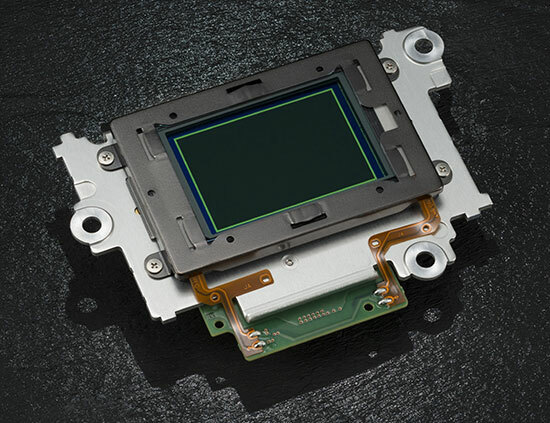 Sensors are now being manufactered at astonishing pixel densities – with one full frame sensor currently at 5O million pixels (Canon) – Nikon have topped out at 45,7 million for the moment. Despite what can be ‘proven’ in technical manuals, in my experience the very high pixel count is super for landscapes etc. but not at all adapted for low light use. 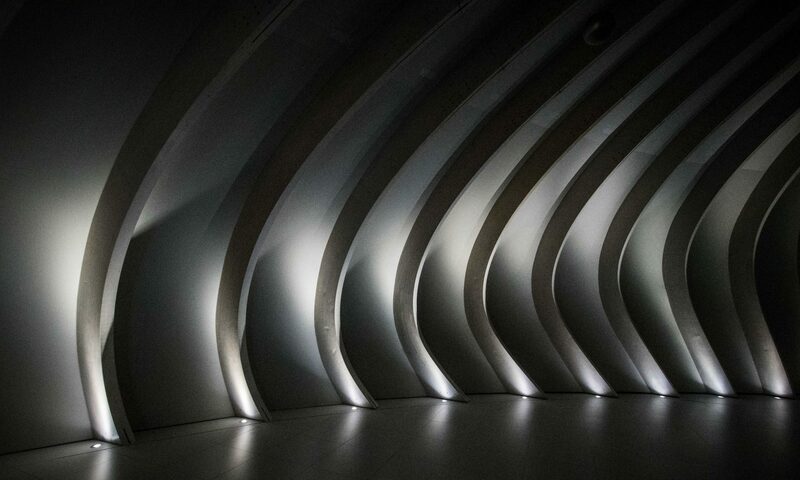 Yes of course the settings allow silly ISO values (102400 in the case of the Nikon D850) but these are not at all practical for work in very low light situations. I regularly use a full frame camera with a 12mp sensor for extreme low-light work, and as an example, one image shot at 6400 ISO was recently blown up to 4m x 3m for an advertising hoarding – I’m fairly sure I couldn’t have done that with a 45mp sensor.